Accompany Mowgli on his quest to find the golden apple tree and stand a chance to win a multiplier of up to x1000! Pick up mega bonus rewards ! If you’ve always dreamt about being part of the Jungle Book, now is your golden chance! 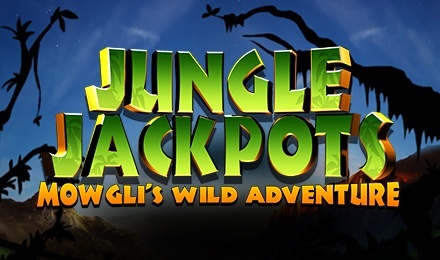 Developed by the top Blue Print Gaming, Jungle Jackpot slots is themed on Rudyard Kipling’s famous Jungle Book! Starring Mowgli and loads of other characters, enjoy the bonus rounds this game has to offer! Profit from: Kaa’s Locked Wilds, Hathi’s Expanding Wilds, Mowgli Wilds, and Baloo’s Bonus! Follow Mowgli on this quest to find the golden apple tree, where you could stand a chance to win 1000x your initial stake!